A California company rents ‘kits’ of gear to equip anyone for a weekend under the stars. Can a rental concept catch on nationwide? It’s no secret that some outdoor activities have hefty price tags. For many people it’s hard to afford all the equipment needed to camp or backpack, not to mention the logistics challenge of organizing it all. San Francisco-based The Camp Kit rents “everything you need, from headlamps to tents to sporks to pillows.” All you bring is the food, drinks, and fuel, noted founder Megan Petruccelli. How Does Camp Kit Work? Head to thecampkit.com, pick out your kit, and place an order. Boxes of gear ship to your front door. Go on your adventure, and then ship everything back with a prepaid label. What’s In A Camp Kit? Well, a lot. 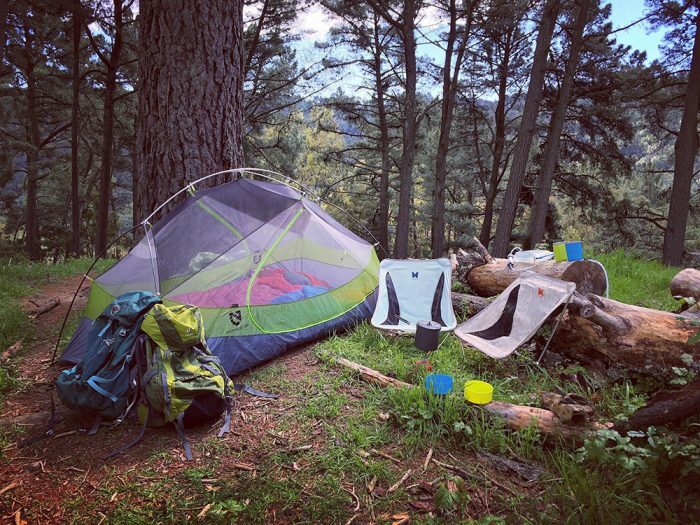 The 2-Person Backpacking kit, as one example, includes a tent, two sleeping bags, pads, camp pillows, stove, pot, cups and bowls, silverware, headlamps, and a water filter. Brands like Deuter, Cascade Designs, YETI, Ursack, and Nemo, make up the kits. They’ve designed car camping and backpacking kits for 1-2 people, with enough supplies for single day adventures to weeklong epics. You can also shop a la carte or design custom kits for extended timeframes. Kits start at $99 (1-3 day rentals) and top out at $299 (6-7 day rentals). A la carte shopping is reasonably priced at $25 or less. Custom timeframes are quoted. The Camp Kit model is great for gear-vetting. Ever wondered how a night’s sleep would feel in a hammock? Want to try that new Black Diamond headlamp? With The Camp Kit, you can test new gear before making a purchase. 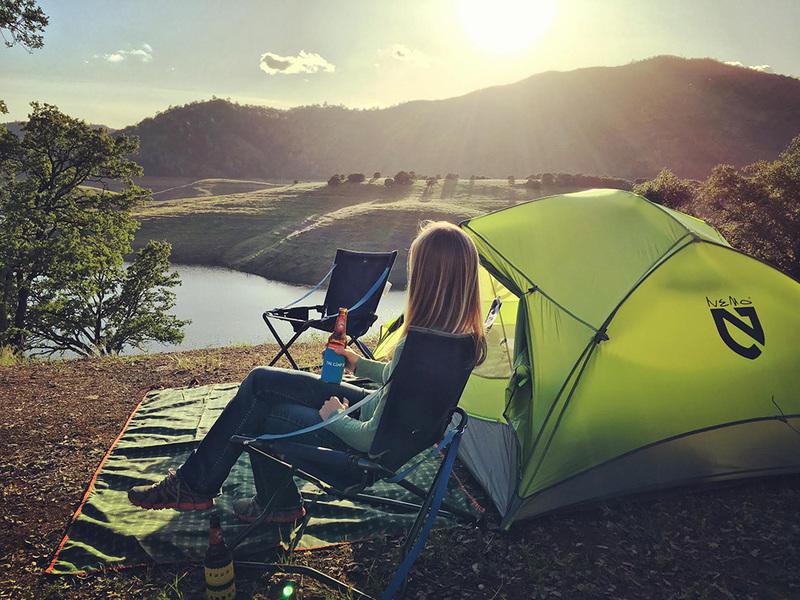 Petruccelli and co-founder Kayla Ravenscraft launched The Camp Kit this past January and it primarily serves the Bay Area. But they ship anywhere on the West Coast and will ship farther away under some circumstances. An idea that came from a casual conversation about the need for more people to enjoy the outdoors has grown into a successful business start-up.